We are a family in business, and ever since we started out all those years ago, our focus always reflects our family and our values. We passionately give back to the community that is our home. Special Operations Wounded Warriors (S.O.W.W.) is an organization we hold close to our heart, and we take pride in supporting them through various endeavors. S.O.W.W. is dedicated to “unique outdoor experiences to the deserving men and women of our U.S. Special Operations Forces that have sustained wounds in battle”. 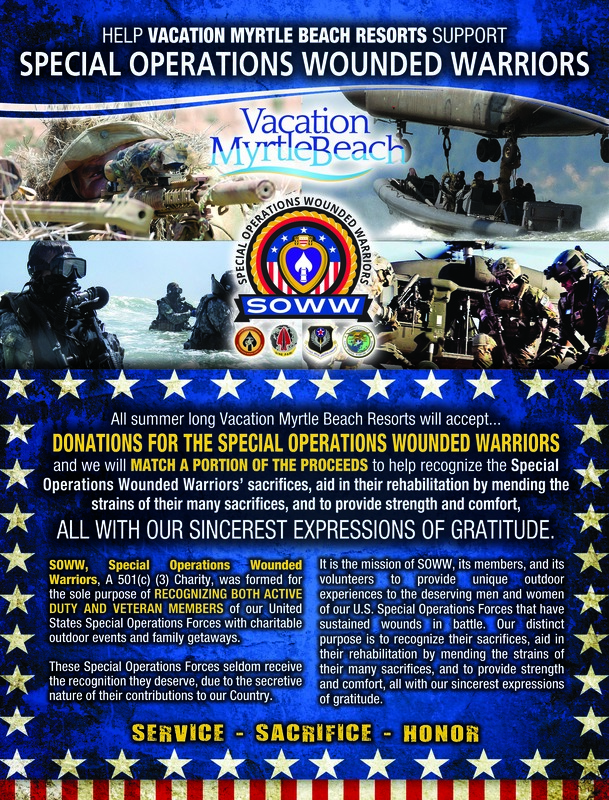 S.O.W.W., a 501(c) 3 charity, was formed to recognize active duty and veteran members of the United States Special Forces with charitable outdoor events and much needed family getaways. We are excited and honored to do our part in helping these brave men and women on their path to rehabilitation, be it physical or emotional. We are currently taking donations at our resort through July 31, 2017 and we will match a portion of the proceeds donated to us. Help us recognize and honor these men and women! Every donation is greatly appreciated and will go a long way in silently thanking our heroes for their sacrifices. We will be collecting donations at the front desk and online. To see more about S.O.W.W. and the experiences they facilitate, Click Here.